We all know that in order for us to be healthy we need to eat a well-balanced diet. What it means is that our diet should consist of protein, carbohydrates, and fats. Surprisingly but most of us consider that only grains and sugar contain carbohydrates. When we see diets that completely exclude grains (including, gluten) we assume that this diet is unhealthy simply because it does not contain any carbs. Well, is it true that the only foods that contain carbohydrates are grains and sugar? Do vegetables have carbs, for example? Vegetables are an essential part of any diet, especially low-carb diets, like keto diet, However, this specific diet cuts down on certain vegetables as well based on the assumption that certain vegetables contain more carbs than others. So do vegetables have carbs? 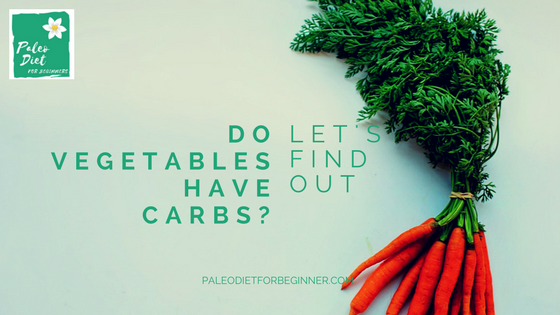 And if so, is there a difference of the carbohydrates component among different types of vegetables? Before we started let’s see what are carbohydrates? Carbohydrates are the sugars, starches, and fibers found in vegetables, fruits, grains and milk products. Carbohydrates are called that way as they contain carbon, hydrogen, and oxygen and are one of the sources of energy for our bodies. As you probably know your diet should consist of three macronutrients, namely: protein, carbohydrates, and fats. All these three components should be presented in your diet for proper body functioning, as your body cannot produce these macronutrients on its own. There are different carbohydrates recommendations depending on the regulatory authority. For example, National Institutes of Health recommends consuming carbs between 45-65% of total calories. Now depending on the type of diet, you would like to follow this recommendation will vary. The most extreme in term of carb diet will be the ketogenic diet, that trains your body to get energy from fat rather than cabs and recommends cutting down on carbs up to 5-10%% of total calories (read more about the difference between ketogenic and paleo diet over here). As mentioned earlier carbohydrates are one of three macronutrients that your body needs in large amounts to survive. In particular, carbohydrates provide energy for proper working muscles and fuel for the central nervous system. On top of that, they prevent protein to be used as an energy source! Carbohydrates are a quick source of energy for our bodies and brain. Out of all three macronutrients, carbs will be the first element that our body will deplete and use as fuel and leave protein and fat for later. If Grains and Sugar Are Not Allowed How Is It Healthy? This is the main concern of most of us when we see all the modern diets, especially low-carb ones like the keto diet. As mentioned earlier, it is all about a balanced diet no matter what type of the diet will you choose. 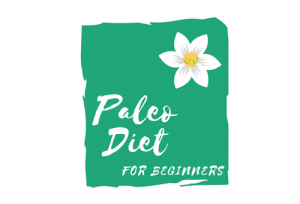 The paleo diet excludes certain food groups including grains, gluten, and sugar. Now for most of us, these types of foods are the main source of carbohydrates and by eliminating these foods we assume that the diet is not healthy. And this is a typical myth. By eliminating grains (including gluten) and sugar, the paleo diet promotes consumption of other types of foods including vegetables. And as we mentioned earlier in the definition of the carbohydrates, vegetables actually contain carbohydrates and some of them even in large amounts. So after all, the paleo diet is a well-balanced diet. It just uses different types of foods to reach this balance (read more about the paleo diet principles over here). What about low-carb diets, like ketogenic diet? Should we consider this type of diet as a healthy one, considering that the balance in this diet is leaning towards fat consumption? Well, the keto diet is a short-term solution diet. What it means is that it was designed to teach our bodies to break down fat at first as an energy source instead of carbohydrates. By doing this you also lose weight fast as your body start producing ketones that initiate ketosis and active fat burning process in your body. 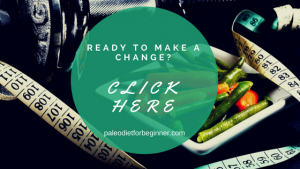 However, this diet is great for fat burning, but once your goal is reached it should be changed towards more balanced diet (the paleo diet will be a great suit for the maintenance). A lot of diets recommend dropping the carbohydrates component in order to lose weight. As mentioned before the basic recommendation is to consume carbohydrates between 45-65% of total daily calories. Now if you are looking to lose weight any amount less than that (typically 20-30% of your daily calories) will help you with the weight loss. However, diets that are known as a low-carb, high fat (LCHF) recommend decreasing this level to a minimum (5-10%% of your daily calories) in order for your body to enter into ketosis where your body uses fat (including the stored one) for fuel instead of carbohydrates. As we mentioned earlier in order to reduce carbs consumption effectively, foods like grains and sugar should be completely excluded from the diet. But that is not only it. As mentioned earlier all vegetables and fruits contain carbohydrates. Some vegetables contain more carbohydrates than others. Therefore, even if you are filling your plate with a lot of vegetables (though high in carbs) it is not necessarily mean that you will decrease your carbohydrates intake and lose weight. Some vegetables have a higher concentration of fiber and fewer carbohydrates while others vice versa. For weight loss, it is recommended to increase intake of vegetables high in fiber and decrease or exclude the ones that are high in carbohydrates and low on fiber. The best type of vegetables to consume, pretty much in unlimited amounts, are the ones that are rich in fiber (namely, all green leafy vegetables). Kale, spinach, lettuce will be a great example of vegetables to be included in your diet. The next vegetables other than green leafy ones that are also rich in fiber and do not contain that many carbohydrates will be the ones above the ground such as cauliflower, broccoli, cucumber, zucchini etc. For the best results limit or avoid sweet or starchy vegetables as they are high in carbohydrates, such as potatoes, parsnips etc. As a rule of thumb, the sweeter is the vegetable the more sugar it contains. Therefore, you should be careful with the amounts of vegetables such as onion, carrot, and pumpkin consumed. Cooked vegetables often decrease in size, however, increase the carbohydrates component. This is the most popular vegetable to consume when you follow a no grain, no sugar type of diet. It is low in carbohydrates and is a great substitute for potatoes, rice, and higher-carb foods. Apart from that cauliflower is rich in vitamins K and C.
Another vegetable that can be consumed in unlimited amount. It is low in consumable carbohydrates but rich in vitamins K and C.
It is great to be consumed in stir-fries, steamed or riced (similar to cauliflower). Another popular vegetable that is used as a substitute for pasta. ‘Zoodles’ is one of the most popular dishes among low carb and/or gluten-free dieters. Apart from being a great substitute for noodles, zucchini is also rich in vitamin C and contains only 3 grams of digestible carbohydrates per 124 grams (1 cup), therefore can be consumed unlimitedly. Being a dark green leafy vegetable it can be consumed unlimitedly through the day. Kale is loaded with antioxidants and also contains vitamin A and C.
One of the most popular kale dishes among dieters is kale chips. One of the lowest in carbohydrates leafy vegetable. Depending on the type it may also be a great source of vitamins and minerals. For example, romaine and other dark green leafy vegetables are rich in Vitamins A, C, and K.
Another vegetable that is extremely low in digestible carbohydrates. It is also a great source of vitamin K and antioxidants. Cabbage is another low in carbohydrates vegetable that can be consumed in unlimited amount. It is also rich in vitamins C and K.
A truly a vegetable of all vegetables. It is rich in vitamins and minerals. Spinach is a great source of vitamin K and calcium. It is also low in carbohydrates and can be consumed unlimitedly. Avocados are an extremely popular vegetable in the ketogenic diet as it is rich in fat and contains a very minimum amount of digestible carbohydrates. Avocados are also rich in vitamin C, folate and potassium. Green beans are a member of the legume family, however, unlike other legumes, green beans contain significantly fewer carbohydrates and therefore are allowed on low carb diets. It is a very delicious spring vegetable that apart from being low in carbohydrates is also rich in vitamins A, C, and K.
Bell peppers are also known as sweet pepper or capsicums are despite having a sweet taste contain only 6 grams of digestible carbohydrates per 149 grams (1 cup). They are a great source of Vitamins A and C.
Mushrooms are extremely low in carbohydrates vegetable. It contains only 1 gram of digestible carbohydrates per 70 grams. Mushrooms are rich in antioxidants that may reduce inflammation. It is a very common vegetable in Italian and Asian cousins. Among dieters, it is also commonly used in stir-fries or to make a dipping source called ‘baba ganoush’. Unlike other vegetables it does not contain many vitamins and minerals, however, it contains an antioxidant called nasunin that may protect brain health. This is one of the most popular vegetables for salads. It is a refreshing vegetable that is low in carbohydrates. Cucumbers are not very high in minerals and vitamins, however, contain a compound called cucurbitacin E that may have benefits for your health. Nutrition Facts do vegetables have carbs, high carb vegetables, low carb vegetables, vegetables for a low carb diet, what are carbohydrates. permalink. I have never given too much thought to high carb vs. low carb vegetables. I love the list you provided. I love broccoli, zucchini, bell peppers and asparagus. The other thing you really have me thinking about is the percentage of carbs in your daily diet if you want to lose weight. Thank you for this article. I am saving it in my favorites for later reference. Actually it needs to be for reference today. I am very happy that you found value in this article. We all would like to lose weight but for some reason, we think that the first thing we need to do is to reduce portions or eat salads. It might help though by reducing portions and not really looking into the nutritional facts of the food you are eating will not provide you with the fast results. And eating salads, for the most part, will demotivate you very easily as you will be feeling so hungry all the time due to the lack of calories. Cutting on carbohydrates will automatically help you cutting on calories. Moreover, if you revisit certain food groups (like sugar, grains, and gluten) and limit the consumption of starchy and sweet vegetables, you will see that the weight loss will go faster. Moreover, if you increase the consumption of green leafy and the ones grown above the ground vegetables to at least 8 cups a day you will also feel very full. What it means for you is that you will have fewer cravings through the day. Good luck on your journey and let me know if you have any questions. I think I can include Kale in my diet. My trainer said I need to consume vegetables which contain vitamin A and I never consumed Kale before. I think I will give it a shot and I hope I like the taste of it. Absolutely, Kale is a great vegetable that is not only a great source of vitamin A and C but also rich in Calcium. If you have never tried kale before it has a slightly bitter taste. I am not a big fan of it in my salads for that reason. However, I love to have it baked as a side dish and or as a snack. Kale chips are one of the most popular dishes among the dieters. The recipe is super easy. Wash the leaves, separate from the stems, add salt, pepper and olive oil. Preheat the oven to 300F and bake until crispy (approximately 20-25 minutes). I hope you will like kale and it will become a part of your daily diet. I am a HUGE fan of “zoodles” and even lasagne made from zucchini sliced with the mandolin. One thing I haven’t experimented much with is the mashed or riced cauliflower. We definitely need carbs, but carbs sourced from vegetables tend to be so much better for us than the processed and refined stuff. thanks for the great info! Pasta is one of the foods that are really very hard to give up on for a lot of people, especially if it is part of your culture. However, knowing all the negative effects that gluten provides to our bodies makes you to rethink your relationship with certain foods. Even though vegetable made noodles is far from the taste of real pasta, though it still can satisfy your cravings for these type of food. ‘Zoodles’ is spiralized zucchini that is used as a substitute for pasta in a lot of pasta-related recipes. I love zucchini in general, so for me, it was not that hard to get used to the taste. Another great pasta substitute is spaghetti squash that despite its squash character contain a relatively small amount of carbohydrates compared with its peers. Cognac noodles is another option, though it has a very specific smell and tastes that not a lot of people can tolerate. Let me know if you have any questions in the future and I will be more than happy to assist you! Natural carbs are a great alternative to losing weight but still help maintain energy when on a diet. Cutting out bread helps a ton especially when i’m trying to be active at the same time! Generally speaking gluten in today’s form does not provide any benefits to our help. Because the demand for the wheat is high most of the wheat has a hybridized nature. What it means is that modern wheat has a protein component that our bodies are not designed to consume and store it into fat. On top of that, most of the gluten-related items contain sugar that does not add more benefits to the food. You can find more information regarding how gluten affects our bodies and weight loss over here and here. Eliminating gluten from your daily diet will help you not only with the weight loss but will eliminate bloating and inflammation as a part of the healing process. For the proper functioning of our body, we need to consume protein, carbohydrates, and fats. However, a lot of people associate carbohydrates with grains and sugar. But not a lot of people realize that carbohydrates are also presented in a large amount in fruits and vegetables. For the weight loss, it is recommended to decrease the number of carbohydrates consumed, which includes a complete elimination of grains and sugar and limited consumption of fruits and starchy and sweet vegetables. Let me know if you have any questions and I will be more than happy to assist you. I appreciate your article and I agree with pretty much all you say. I like all the vegetables you mentioned and have them all at different times. The issue I have and the question I have is, in what quantities do we eat these vegetables and when? Do we eat some one day and others the next? Do we try to eat them all, spread out through the day? It would be really helpful to everyone, if you can answer all of these questions. I think your question is more related to the meal planning process. We all have our own health goals. The quantity recommendation for a person who would like to lose weight or for the one who want to treat digestive issues will vary significantly. Another factor that will make a difference in quantities will be occupation and lifestyle. For example, a person who goes to the gym 5 times a week and have generally very active lifestyle will need more calorie consumption, therefore the vegetables intake will be bigger than for the average person. The same will be applicable to the variety of the vegetables through the day. For example, if your goal is weight loss, you would want to reduce the carbohydrates intake and eat more green leafy and growing over the ground vegetables through the day.